Fulton County Animal Services - Found a Stray Pet? Found a stray pet in Fulton County? 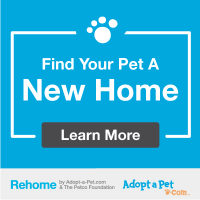 Consider becoming a Friendly Finder to help keep an animal out of the shelter and foster them for five days until they are available for adoption. Shelters are very stressful places for animals. Animals that enter as strays need to be held for a period of time to allow owners the opportunity to be reunited with their missing pets. Instead of having these animals stay in the shelter, we offer an opportunity for the kind citizens who found them and brought them to the shelter to temporarily keep these animals in their homes. Pets stay healthier when they are not in a shelter environment. All animals will receive vaccinations before they leave the shelter. Pets in foster homes are less stressed and more behaviorally sound. We have had so much success with our foster programs simply by getting animals out of the shelters and into homes, even for a few days. We learn more about a pet's true personality from our foster parents. Your observations will help us better market the animal when they become available for adoption. This helps us find the best matches for our shelter friends. What's involved in becoming a Friendly Finder? You agree to become a temporary foster and keep and care for the animal in your home for five days. We'll take a picture of the animal and put that picture in a binder in our front office in case an owner comes to the shelter looking for their pet. We'll also scan for a microchip and post the dog to our shelter website to help locate the owner. We'll provide a foster starter kit that includes everything you need to care for the animal: food, toys, leash, and collar. Hang flyers in the area where you found the pet. We have an easy template you can download and create in just a few quick steps. If we are able to locate the owner during the five day foster period, we will set up a time for you to bring the animal back to the shelter for their reunion. We rely on community members like yourself to help provide the best options for the animals that come into our shelters. You can make a difference in an animal's life by becoming a Friendly Finder today.